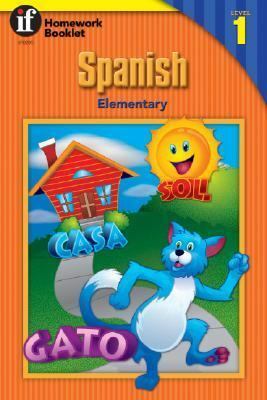 Spanish, Elementary is a wonderful way to teach or review the basic Spanish vocabulary to elementary students. The many illustrations give clues to the meanings of the Spanish words. Level One begins by introducing students to the Spanish alphabet,numbers, colors, and the calendar. Next, students will familiarize themselves with the Spanish words for everyday items found in the home and in nature. You'll be amazed at how quickly your students' Spanish vocabularies expand!Thomas, Rose is the author of 'Elementary Spanish Level 1 Homework Booklet', published 1998 under ISBN 9780880129855 and ISBN 0880129859. Loading marketplace prices 21 copies from $0.01 How does the rental process work?